Yes, it has been a long hiatus. Now that I have discovered the secret to great skin for me, I’ve got SO much to say! After all, nothing compliments a dewy, bronzed glow like that of great skin. Disclaimer – what works for one person isn’t guaranteed to work for another even if the skin type is similar. This post is just one big nugget of info. I found that my first plunge into skin care was super intimidating and I’m pretty sure that I’m not alone when I say that skin care products can be just as daunting as lingerie is to men. So many choices, so many functions, so many brands, just SO MANY THINGS! 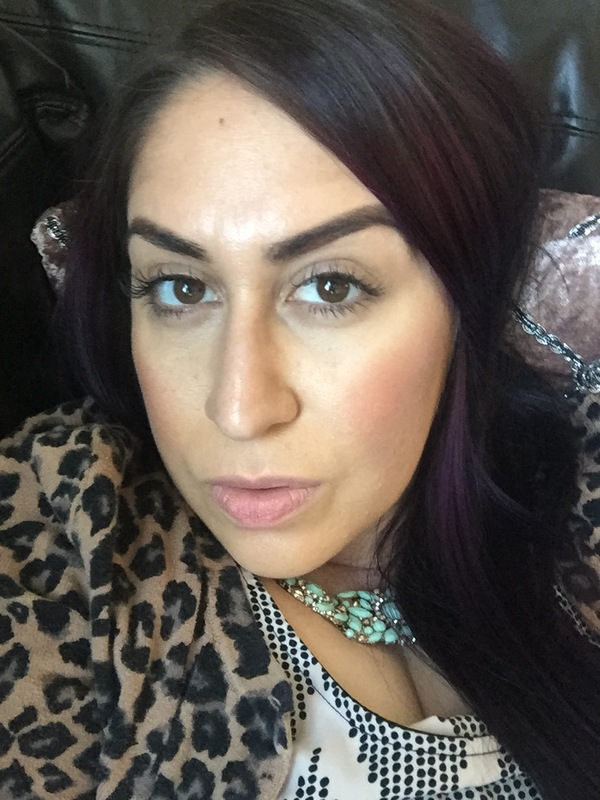 It has taken me months of product testing as well as gathering recommendations from my favorite vloggers like Desi Perkins and Nicole Guerriero. First up, let’s just get the ones that will put a dent in your wallet out of the way. While I did find that the most expensive products don’t always mean the best, I also discovered that such a rule does not apply to Murad products. Designed by a renowned dermatologist, Murad has oodles of products out there that are conveniently categorized as Step 1, 2, and 3. The two that I’ve found most helpful are the Renewing Cleansing Oil and the Complete Reform Serum. Before using a cleanser, I use a few drops of the oil to remove all my excess makeup, even mascara! Isn’t that what easy-to-use makeup remover wipes are for? Certainly. But since those can be really drying, I use this oil AFTER a makeup remover wipe. The serum is applied after your cleanser and/or mask treatment. This I apply with upward circular motions and just after one day my skin really looked tighter and felt softer. 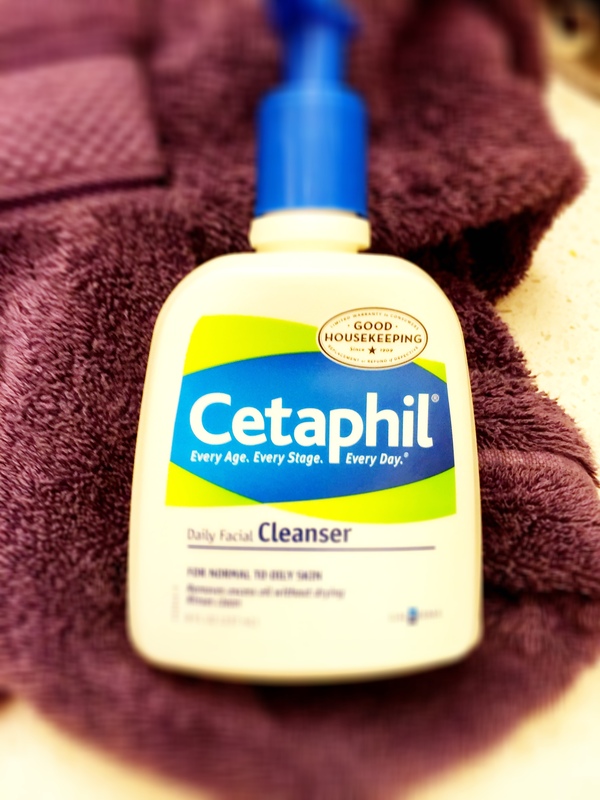 For my cleanser, I swear by and will never switch from Cetaphil Daily Facial Cleanser. This product can be purchased over the counter at most drugstores and comes in a medium and larger size. For my normal to combination skin, it works exceptionally well and cleared up some dry patches I had acquired from other cleansers that claimed to be gentle but clearly weren’t by the looks of my T Zone! 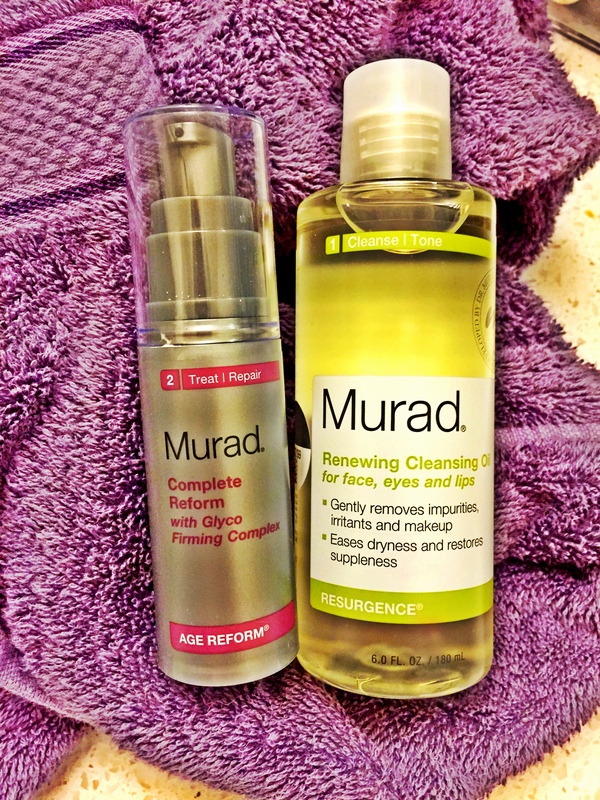 I use this every single day, morning and night, and at night AFTER I have removed traces of makeup with the Murad Renewing Cleansing Oil. Since it is good to exfoliate twice a week, I have found a super nifty product that can be added to any cleanser and used as an exfoliant. Not only that, but since this product works as loose grains you can really monitor how much exfoliation you want, which I personally find beneficial since my skin is really sensitive to any kind of grainy substance. 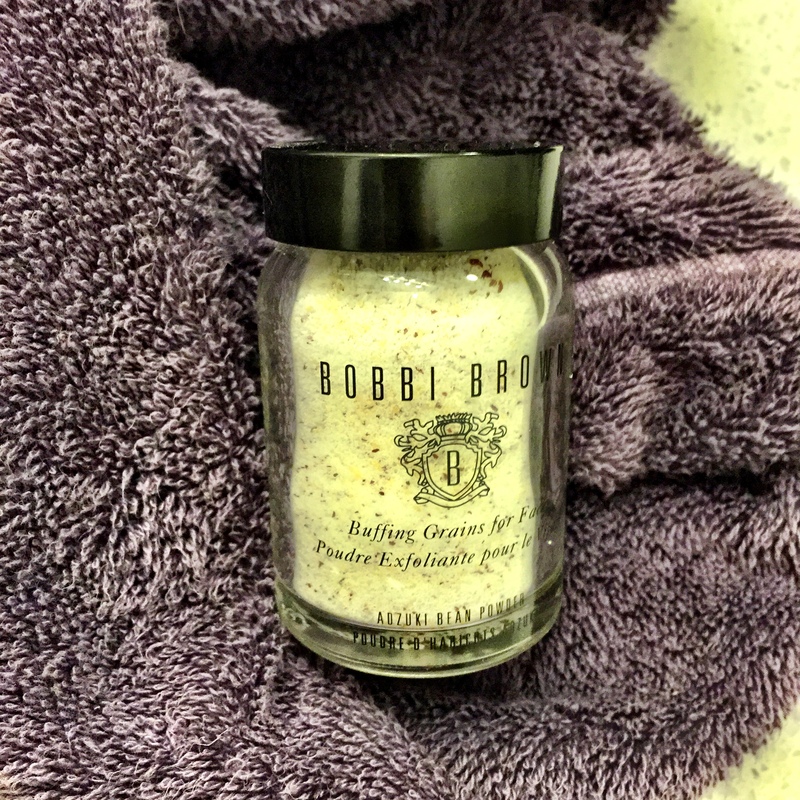 I’m talking about the Bobbi Brown Buffing Grains for Face which can be found at any Nordstrom’s or Saks location that has a Bobbi Brown counter. This product can also be purchased from the site, along with their excellent lip balm, which I highly recommend. Why do I love this product? Let’s just say if you have always hated the harsh feeling of exfoliation, this product was made for you. It’s soft, gentle, and still gets the job done. Plus, the cuteness level of the packaging is off the charts! After applying my Murad serum twice daily, I then move on to the moisturizing step in the process. And if you want to know what it feels like to motorboat a cloud, this product will not disappoint! 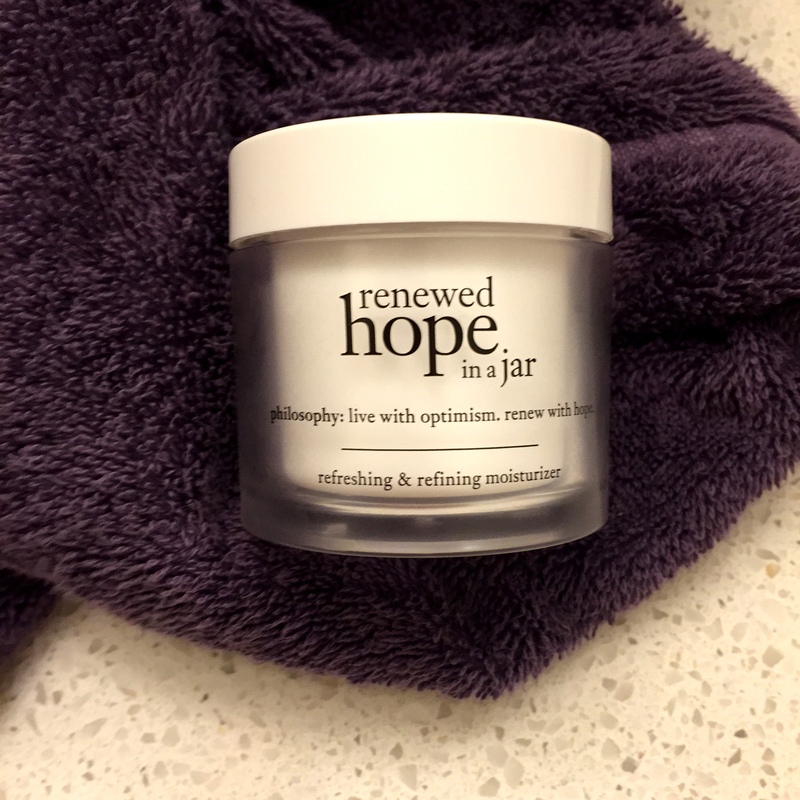 I moisturize morning and night with Renewed Hope in a Jar by Philosophy. When moisturizing and applying facial serum, make sure you apply each in upward movements and never forget the neck. Once I hit my 30’s I was graced with the wonderful problem of neck lines in my skin. Trust me, start tightening with product NOW. Of course, we cannot forget our delicate eye area. Some may not believe in the need for a good eye cream. But I have found that a bad eye cream can throw off my cream contour and concealer game. 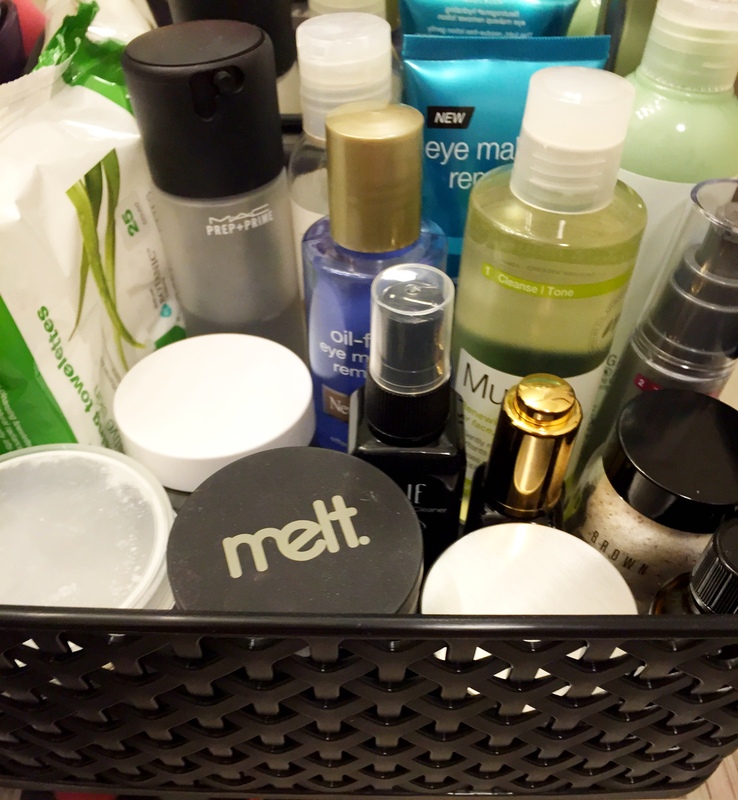 Not only do I believe in using an eye cream after moisturizer and twice daily, but I also believe in using a cream based eye makeup remover BEFORE starting with the all-over makeup remover wipes. This too will prevent over-drying. 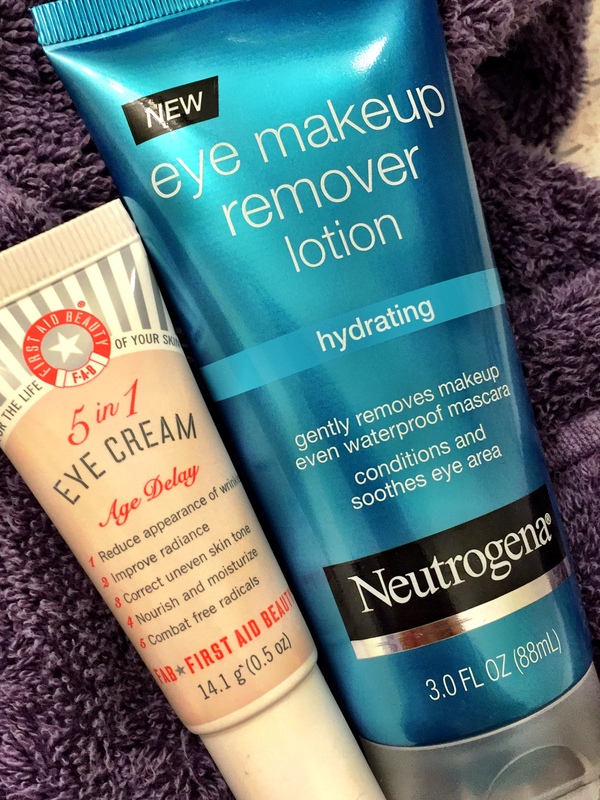 I am currently loving the Eye Makeup Remover Lotion by Neutrogena. I use this depending on how much eye makeup I have applied, but it really helps wipe away that gel liner at the end of the day. Eye creams are something I am currently experimenting with, but so far, the 5 in 1 Eye Cream by First Aid Beauty has been the best at reducing creases in my foundation and cream makeup. The product is also exceptional at diminishing my under eye circles instantly, which I have struggled with for some time now. Lastly, a good mask can be the cherry on top when it comes to brightening up your face and really pulling everything together. There are a variety of masks out there, and most only need to be used 2-3 times a week. I like to think of a mask as the product you want to really hone in on a big skin issue. So for me, this problem would be large pores and uneven skin tone. 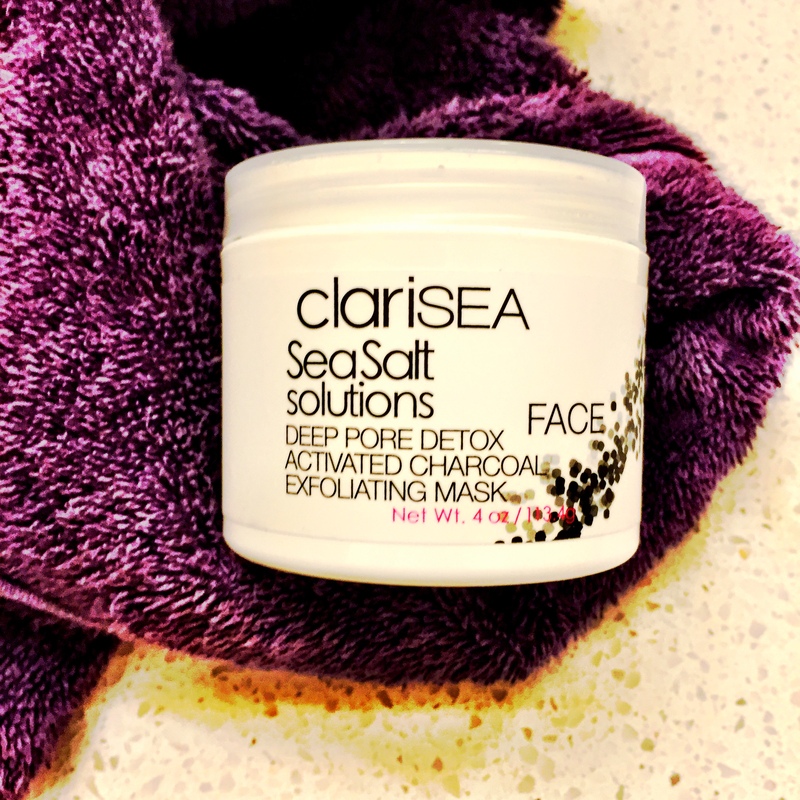 For that, I’ve been using the Deep Pore Detox Activated Charcoal Exfoliating Mask from ClariSEA Sea Salt Solutions. I like this mask because it gets the job done in 5 minutes and dries to your face with a lot less pulling and tightening than I have found in other masks. Plus, it’s relatively inexpensive compared to a lot of other charcoal masks out there. What’s even better is that this mask washes away very easily, which is rare for a mask like this. The conclusion of all this? Really it’s about sticking with what works for you, and learning the basics. Skin care is definitely the one arena of beauty where I have learned that it does not pay to keep up with the trends. Usually a product will tell you right away if you two are meant to be. Happy hunting for your skin care secret, Beauty Dolls!